When you talk to anyone that gambles, everyone wants to talk about their greatest triumphs; the crazy winning hand that took down the house or the 1% shot in the dark that actually paid off. This isn’t one of those happy feel lucky stories. This is the worst defeat I was ever handed at the casino and the life lesson I gained from it. After missing my connecting flight from Seattle to Elko via Reno to compete in an upcoming invite only poker tournament, I was faced with a dilemma. I could sleep at the Reno airport overnight and wait for the first flight out to Elko or try my luck at one of the local casinos. Actually, it wasn’t much a dilemma, more of a decision on which of the many casinos in Reno to attend. I have had previous luck at Silver Legacy and thought it was best to try my fortune there. Carrying 6 crisp one hundred dollar bills, I strolled into the front door thinking I was going to kill about 6 hours playing and have a free breakfast to boot. Being a Thursday night, the casino was quite busy with both locals and tourists occupying the blackjack tables and after being told that the wait time was roughly an hour, I searched for a more immediate table for action. I came across a lonely Baccarat table and staked my night’s fortune on that table. 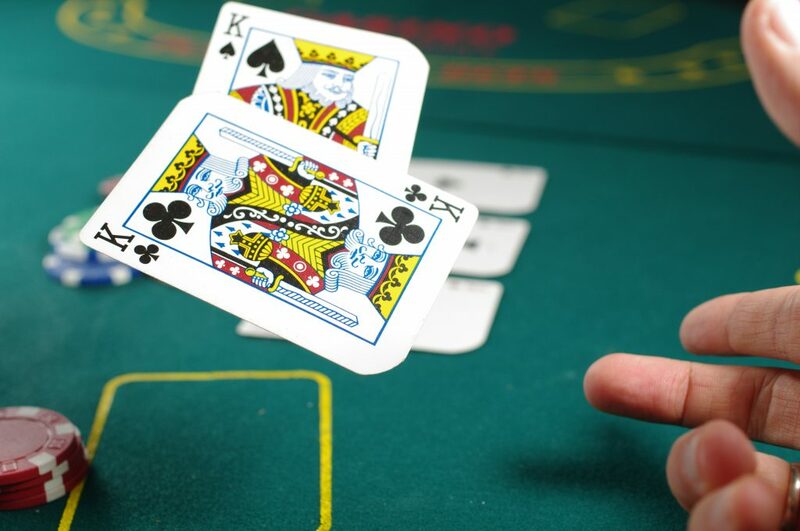 The basic rules of Baccarat are quite simple; both the player and dealer are dealt two hole cards. Any face cards including tens are counted as zero so realistically all the small cards are in play. The objective of the game was to arrive as close to nine as possible with the two cards with your hand (either the dealer or player) being the higher one. Check out more Baccarat online over here at Hex. Statically, the dealer hand (house hand) has a 56% chance of winning vs. the players hand hence why the casino takes a 5% rake from your winnings. It does get a bit complicated when it comes to having mid-range hands like 4’s and 5’s but I’ll leave that to a different column on another day. In my mind, I was thinking “there’s no way this can keep going, I have 56% chance of winning so I’m closer to winning than losing”. Those 15 losses turned into 20 losses in a row. Now the small crowd had turned into a mob mentality with people saying, hey, you have to bet against that guy, he’s totally bad luck. Finally, I did win a hand but only after losing 28 hands in a row. I doubled up my bet in the hopes of a run of good fortune for me and unfortunately those last chips were swept up in the last hand. The good news was I was still able to have a comp for a free meal so I took my broken heart to their breakfast buffet. I ate and cursed my misfortune but learned a really important life lesson there. Sometimes you have to cut your losses. Not all gambling can be learned from books and experts. Sometimes you have to go with your gut and maybe that’s why it’s called a gamble because you never really know the results until the cards are dealt. What makes an online casino game most popular?